New sound experiences demand not only new content, but new terrain – architectural audio, spaces that can take on new meanings. And that’s why 4DSOUND in Amsterdam is such a compelling canvas. 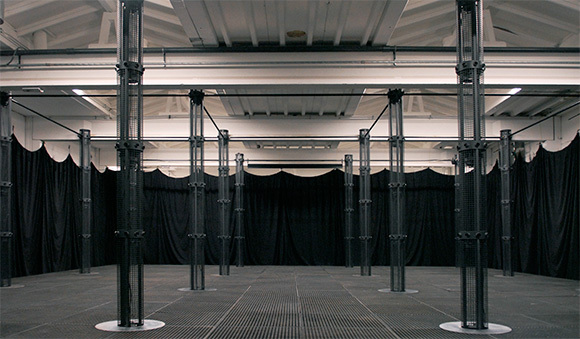 4DSOUND is a unique installation, 256 square meters (2700+ square feet) of floor, divided into an equal grid. On that grid, columns house 48 omnidirectional speakers, as nine sub-speakers rumble beneath the floor. 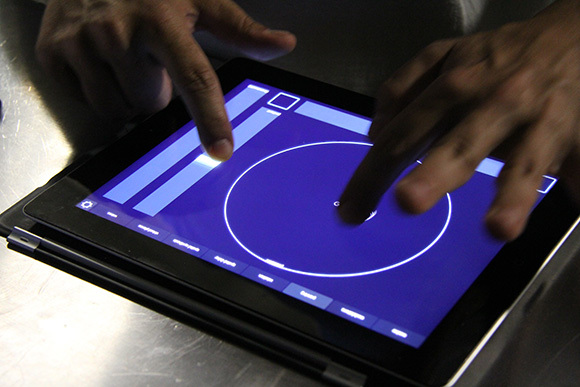 The result is a sonic bath, a three-dimensional audio environment. 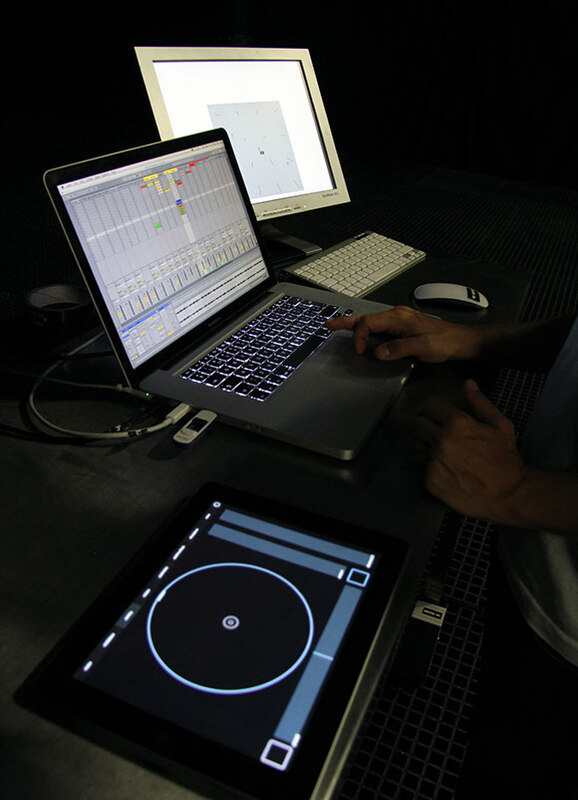 Ableton Live (with Max for Live) and Liine’s Lemur iPad app work with that system to finely position sound in the new space that’s created. 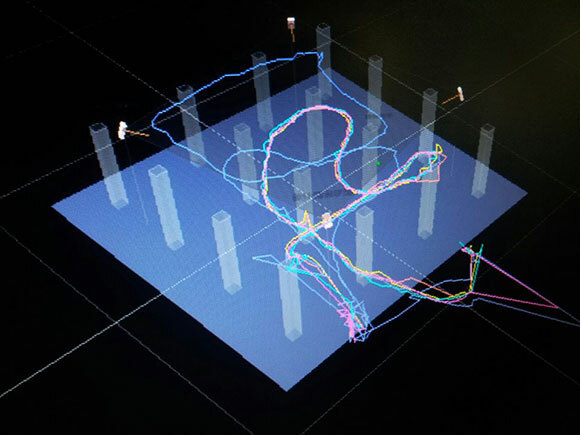 Sensors can also track motion through the space (that’s the squiggly lines you see below). Dutch sonic engineers Paul Oomen, Salvador Breed, Poul Holleman, and Luc van Weelden created the system. 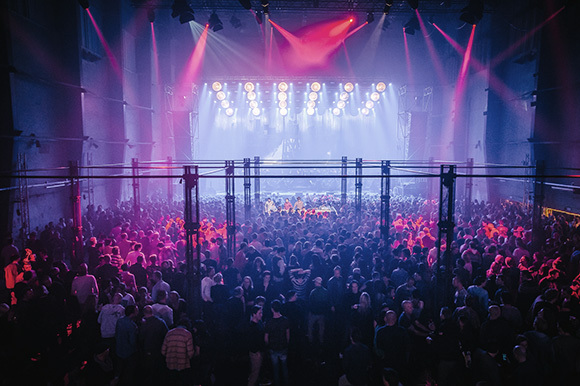 Max Cooper spoke to DJ TechTools about his idea, noting that 4D can make even the clubgoers’ experience spatial – those sounds that tend to degrade to monaural perception in a crowded dance floor. He walks through the integrated software, and how a person working more traditionally in Ableton would interface with all this new three-dimensional complexity. If you’re imagining this requires new ways of thinking about a mix and timbral composition, you’re right. And that’s what makes the most recent developments so intriguing. 4DSOUND went from those first experiments to being used in various contexts almost like a new instrument – and a new sonic venue – all at once. It even appeared with the Rotterdam Philharmonic for an orchestra-plus-audio production. Digging Deeper into the 4Dimensional Dream… Body Echoes in 4DSOUND. Finally, on Saturday, Pantha du Prince, German Hendrik Weber, will have his own take on the system. Keep it here on CDM for more on what this system can do.